Space 1026 — Philly’s innovative graphic-design workshop, gallery, and alterna-performance space — has found a new building after its original space at 1026 Arch St. was sold last April. The art collective will relocate to 844 N. Broad St., blocks away from the newly renovated Met Philadelphia. Space 1026 members say the new location will be operational in September. 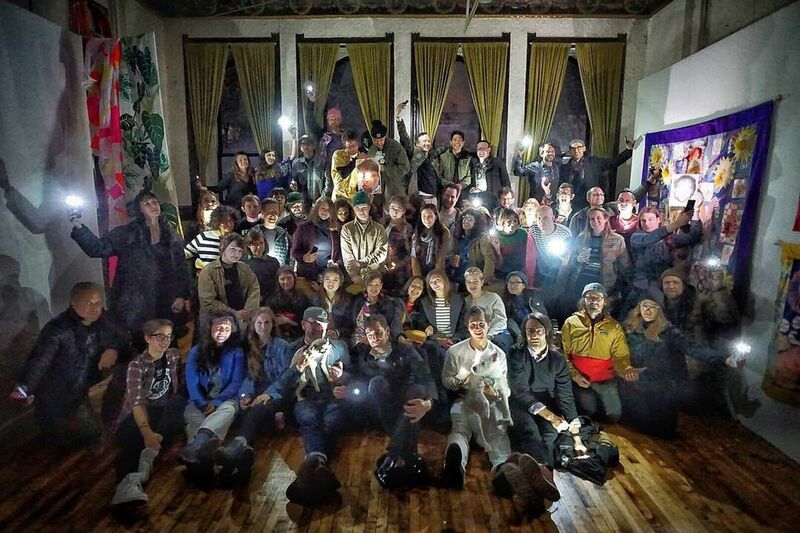 "Space 1026 helped change the Philadelphia art landscape,” said cofounder, comedian, and artist Andrew Jeffrey Wright when the collective first found out that its building was being sold. The collective, founded in 1997, has not followed a single design aesthetic, although its look has veered toward graphic and has often been sketchily comic. Its work can be seen in projects for Philadelphia’s the Roots and its OkayPlayer website, for sneaker companies such as Puma and Converse, and for clients as diverse as Downtown Records and Snickers. The City of Philadelphia was even a Space 1026 client — its cartoonish monsters can be seen on electric compacting trash cans throughout the city. It held some of the first shows in this city for like-minded artists such as Rebecca Westcott, Cory Arcangel, Ed Templeton, Shepard Fairey, Cynthia Connolly, and Jim Houser, and has hosted musicians such as Kim Gordon and Santigold. Indeed, for the last two decades, Space 1026 has held the note on weird aesthetics in Philadelphia. “That continues to be true, only we’re not sitting still, crying in our collective beers and living in the past,” says Space 1026 cofounder Maximilian Lawrence. Space 1026's new building on North Broad. Together with fellow member John Armstrong, Lawrence found and purchased the new North Broad Street spot, formerly the hair salon Le Paradis Beauty Salon. It offers 5,000 square feet of room in which to create, along with a backyard. “We can burn trash or people or anything we want, along with having barbecues and making massive 50-feet-tall sculptures,” says Lawrence. He was not ready to disclose the cost of purchasing the new location. The penultimate exhibit at Space 1026′s Chinatown space is currently on display — Isaac Lin and Leif Goldberg’s “Puzzled Looks” runs until March 28. After that, in May, a retrospective of the last 21 years will take place on Arch Street.